After reading my previous article about SEQUENCE one of my friend asked a question about the performance of using Sequence for quick and continuous generation and whether there is a way to create and manage this using Management Studio ? Using CACHE option, you can specify how many values should be pre generated and available ready, you can set the cache size based on your application’ requirement. You can use [Sequence First Value] and [Sequence Last Value] and use it in your loop to insert data. 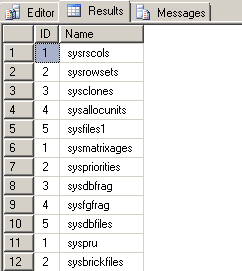 How to create and manage SEQUENCE from Management Studio ? If you see the above screenshot, you might notice that Data Type, Precision or name of sequence can not be modified. You can change the other values, similarly you will see an option to restart the sequence as well. 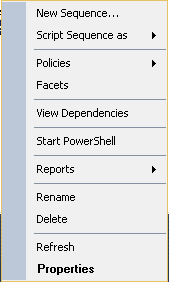 Note: To rename you can use the “Rename” option in Context menu. 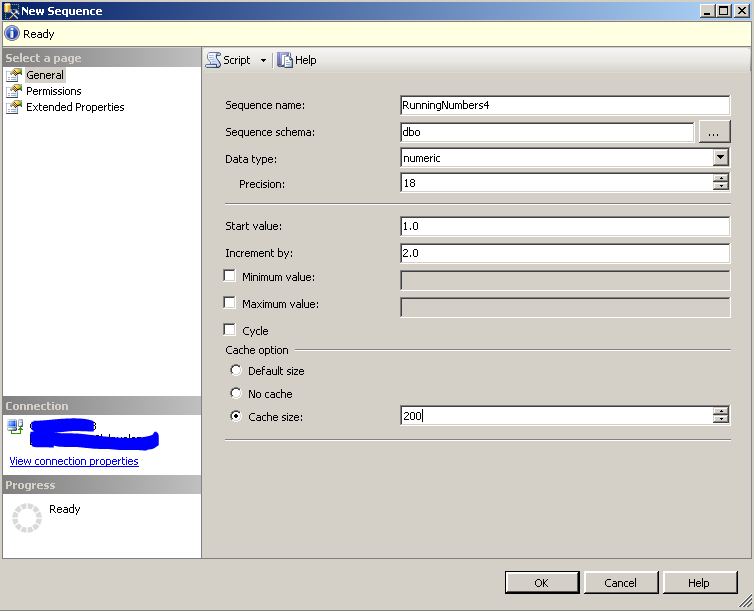 SEQUENCE–How to create Identity Key across tables in SQL Server “Denali” ? 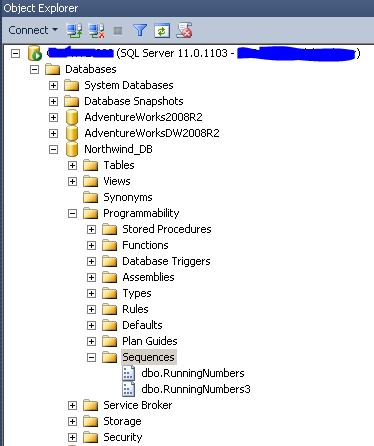 SQL Server “Denali” introduces a new feature called “SEQUENCE”. SEQUENCE is a user-defined object that generates a sequence of numeric values according to specified options. How to use it as Identity across tables ? I hope you all find this information about Sequences useful and informative !!! I hope you will find this useful to get the meta data of stored procedures developed by others to find the output without executing it.